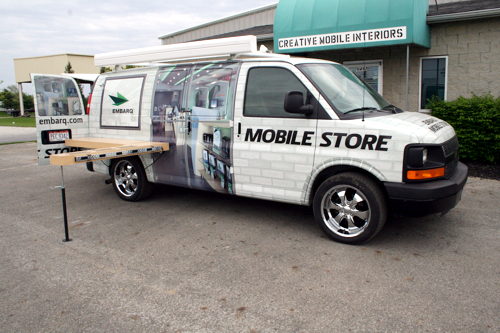 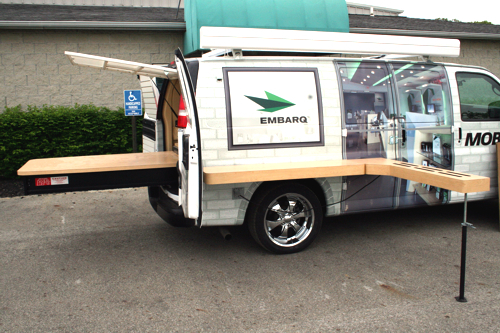 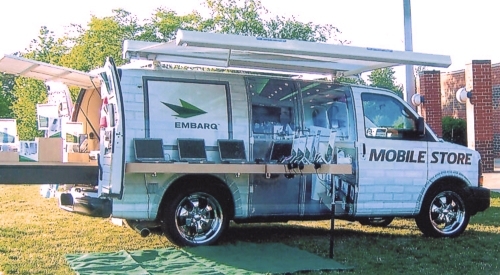 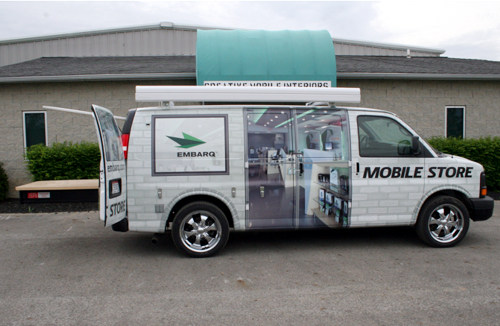 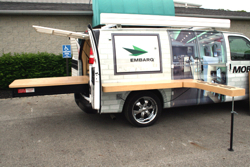 This customized mobile marketing vehicle, is a decked out Dodge Sprinter van.“ Easy setup was really important to the client”, said Josh Gifford, CMI Designer, “They wanted something they could setup and pull down within an hour’s time”. 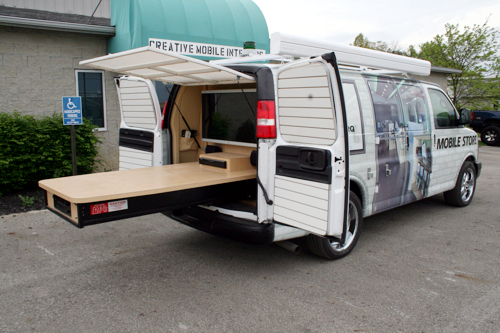 With a push of a button the awning rolls back and the Joey bed tray manually slides into or out of the van with a pull of a lever. 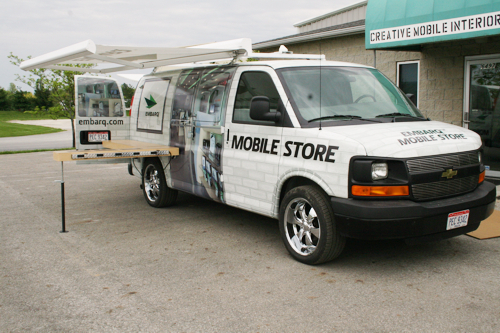 Each work station is divided by a partition and a large 13- foot retractable awning protects the equipment and photos from outdoor elements. Samples of tthe company's products are displayed in the rear of the van on the doors and on an innovative mechanical joey bed serving dual purposes. 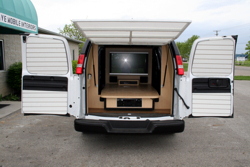 A mirrored sunken display case and a 42” plasma TV with DVD player showcase the many photo products. 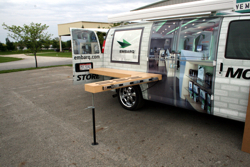 The tray also provides work areas divided by partitions where people can organize their photos in privacy. The side tables are easy to set up and take down and each item has a specific spot inside the van. 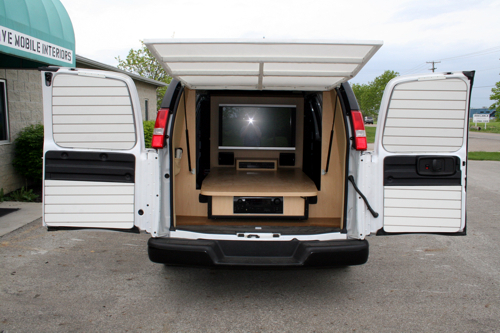 Even the electronic equipment is set up so all you have to do is plug in couple outlet strips strategically located for easy access.